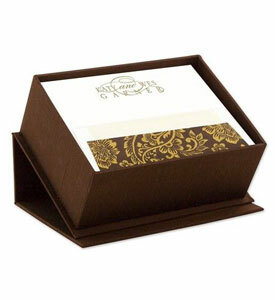 Your relationship with others is important, so you want to communicate with them using stationery that conveys your own personal spirit. 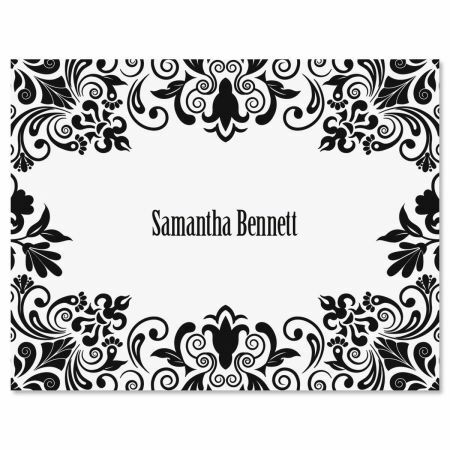 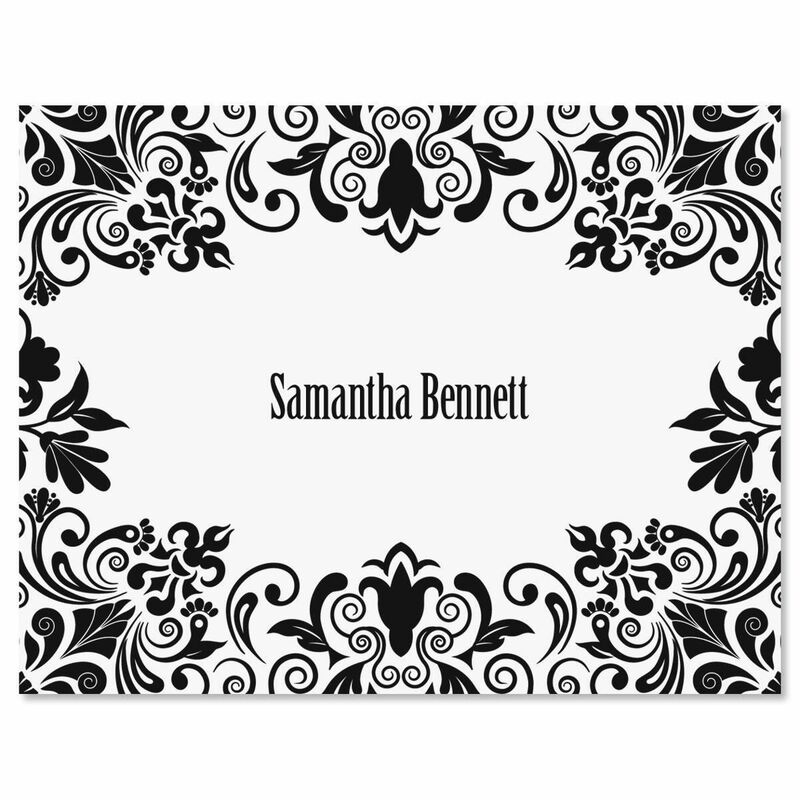 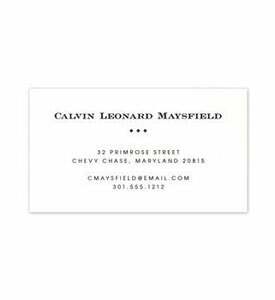 And nothing says elegant yet friendly like striking black and white in a swirling floral design. 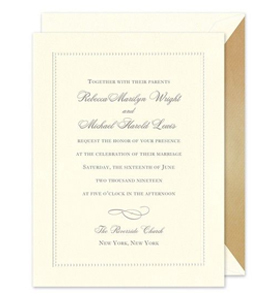 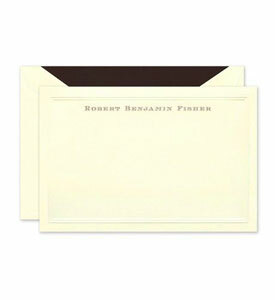 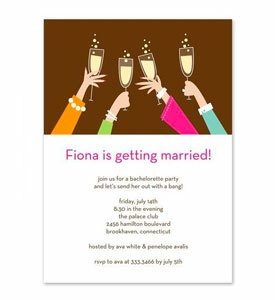 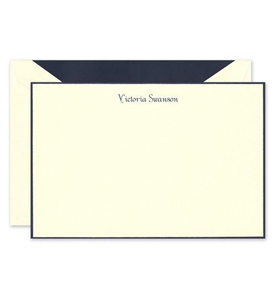 These premium blank-inside cards are 4 1/4" x 5 1/2" each, and they come with white envelopes in gift packaging. 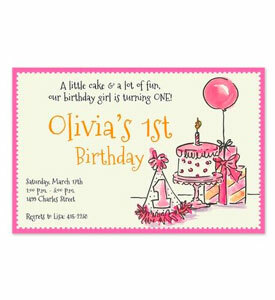 Specify 1 line up to 20 characters.